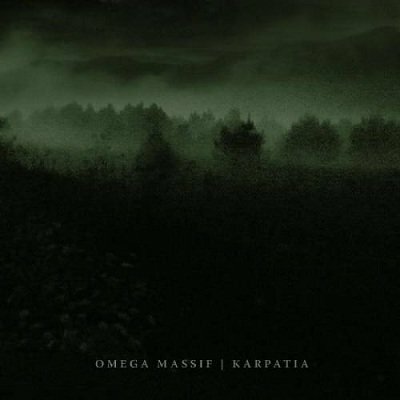 Crushing their snares between the epic, dramatic landscapes that Isis, or their instrumental descendants, and a more abstract post rock clouds of sounds, Omega Massif bring seven overall intense instrumental tracks for the listeners to be sucked right in to. While their sound remains clean, Andreas Schmittfull, Michael Melchers, Christof Rath and Boris Bilic are keeping it heavy and unforgiving from the beginning of Aura to the end of the album. Their dedication is obvious, their energy – remarkable. Not that it overshadows the rest of the album, but I find the title track “Karpatia” to be the most interesting, mainly due to the ultra slow pace of it. The harsh beat of the drum, slowly paving the way for the feedback-overloaded guitars, is constantly promising catharsis, while ultimately denying it until the track is over. The long anticipation is contrary to the climax overdose (which is not a bad thing in itself!) that you can find on the rest of the album. More often than not, Omega Massif saturates the listeners with monumental apexes and towering musical highlights, making the ending of the album not just a landing to the ground, but a hard crush into reality. Fans of instrumental post rock/metal will see this album as a treasure to be kept and guarded. Omega massif manages to put itself among the top ranks of the endless army of bands this genre had spawned, with a very impressive power display that is released among the other fine releases of Denovali records.